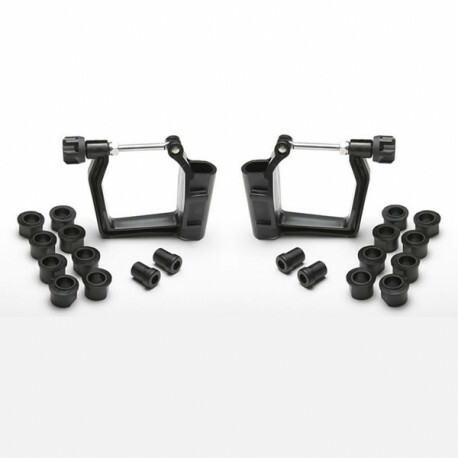 One pair of scull oarlocks with black pitch bushing sets for 1/2 inch diameter rigger pins. For a single, order one pair of oarlocks; for a double, two pair of oarlocks; for a quad, four pair of oarlocks. Concept2 oarlocks are shaped for easy oar handling with positive stable positioning on both drive and recovery. Replaceable bushings for pitch adjustment and pin fit. Made from unbreakable Supertough nylon with stainless steel gate. Meets FISA standards for oarlock turning diameter. 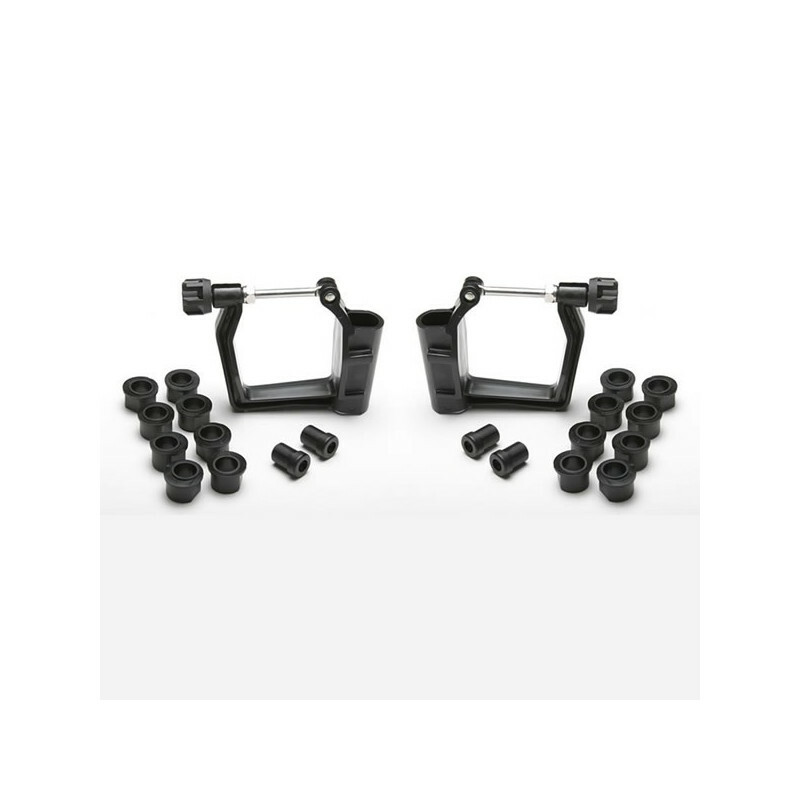 Bushings (included) allow for pitch adjustment anywhere from one to seven degrees.